Halloween is a lot like going to the bar for children. You dress up, eat about 8,000 calories worth of candy and then end up on the floor with dilated pupils swearing that you’ll never eat another piece of candy again. Halloween is also like hitting the kid lottery. I filled up a pillowcase one year and seriously considered retiring. But as the days of November creep along, your Halloween candy stash begins to dwindle. You start rationing like a world war has broken out. One piece of chocolate here, a cherry Jolly Rancher there, until you start only biting a half of a Butter Finger a day in a desperate attempt to make the stuff last until Christmas. No one ever makes it. You cave like the selfish sugar addict all children are. And then you hit rock bottom. Nothing left in the till except grape anything and Atomic Fireballs. Next to the apple that one jerk always hands out, the Fireball is the worst Halloween candy. They linger like black mold in your candy basket. You know they are there, but you avoid them until you have no choice. Throw them away? Never. They are still candy. But you eat them begrudgingly, like broccoli, because you have to. It’s ridiculous that Fireball Whisky is so popular. It was our least favorite candy growing up and yet people are drinking it in bars by the bucket load. 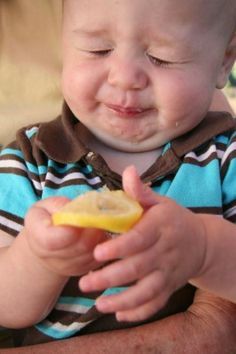 I’m convinced that no one actually enjoys the stuff; they drink it because everyone else does. Well, folks, this is our intervention. I say “our” because I drink it too. I’ve voluntarily bought Fireball shots for people and I hate it. Obviously something is wrong. It could be they are brainwashing us. I’ve sent a letter to Jesse Ventura asking him to look into it. Two guys who really hated their jobs in liquor development invented Fireball Whisky in Canada in 1984. No one liked it until 2007. Only a few people liked it in 2011 when its sales reached $1.9 million. Then the sickness began. In 2013, sales reached $61 million and a whole bunch of people forgot to buy shots they liked. The next time you are in a bar, watch the face of someone who takes a shot of Fireball. They will look like they just drank some tea made out of used wool socks. I cannot explain Fireball’s popularity. I like to believe that my generation is as good and as thoughtful as past ones, but we are drinking this orange death juice by the gallon. The worst part is, I hate it. I know I hate it. I’m cringing right now thinking about it. But if you handed me a small plastic cup full of it right now, I’d drink it down like Mary Poppins was in the room singing about sugar. 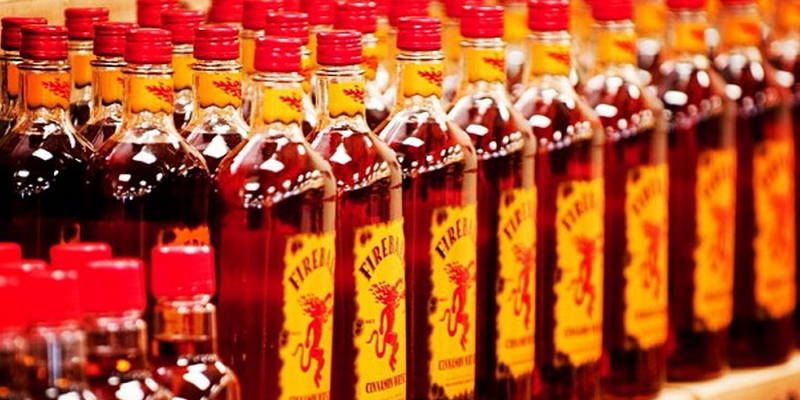 Fireball might make you slightly insane. Fireball Whisky barely contains any alcohol. Nerds love to tell you that there is a small amount of alcohol in orange juice. Well, the amount of alcohol in Fireball isn’t that small, but we are getting hosed. Absolute Vodka, Jack Daniels and Jim Beam are all roughly 80 proof or 40% alcohol by volume. Fireball “Whisky” is 66 proof or 33% alcohol by volume. Usually people drink things that taste like garbage because they contain more alcohol. What the hell are we doing? We are drinking stuff that has less alcohol, tastes like crap and no one liked for almost thirty years, that’s what. In a totally non-scientific text to a bartender friend of mine, I discovered that the world famous Silver Dollar in Charleston, SC goes through roughly 20 bottles of Fireball a week. That may not seem like a lot, but consider they are only open from 7 pm to 1:30 am, seven days a week. A few of those days aren’t necessarily busy and no one goes into any bar in Charleston (if you’re cool) until about 11:30. So, basically, patrons of the Silver Dollar are drinking 20 bottles of Fireball in about an hour and a half every week. Whoa. That’s a lot of shots of non-alcoholic gunk. I’m happy for Fireball’s success even though I don’t understand it. If someone sells canned air and makes a fortune, then congratulations. I might prefer that to a shot of Fireball since it would be tasteless. I’m simply begging you to remember Halloween the next time you’re in a bar. If you order a Fireball for people, you are essentially bypassing all the good candy and ordering them the dregs. Don’t do that unless they stink too. I usually agree with most of your post, but after Xmas Eve this year I discovered that people love this stuff. I mixed with another Mexican liquor ( white in appearance) and it was a HIT ! I’ll have to make more next year and force you to drink it ! Yeah, but you mixed it with something else like you said. I remember. HATED Fireball candy as a kid. Even though I was (and still am) a sugar fiend — those went into the garbage can. I had standards. Rumor has it it contains anti-freeze, which apparently isn’t enough to cause concern. What concerns me is sweating out red hots for an entire night. I imagine the people who work at Cinnabon stay far away from this after work. Oh, things will be MUCH better once I sell my house!! 😀 Meanwhile, I’ll read your blog for laughter’s sake. Could be a possible correlation between the release of this song, which was played not just on country stations, but some pop and easy listening stations as well, and the increase in popularity of the lame liqueur which was probably created in the depths of hell. I don’t care for the stuff myself. I especially don’t like waking up the next morning and still being able to taste it. Does this happen to anyone else, or is it simply a sign that I’m getting old? If I drank things based on the recommendation of musicians I’d be dead. Woa woa… slow your roll… grape anything gets eaten WAY BEFORE tootsie rolls. I’m not sure if tootsies are even produced anymore or if it’s the same supply from the stone ages being passed from one house to another. Probably a great invention for 2 generations ago, but it’s 2015 and the candy world has stepped up their game significantly. I’m not a big drinker but loved this! Great writing, I was totally laughing and agreeing the whole time. Looking forward to reading more! Hey!! Hello!! This is Amreen Shaikh from Paint The World With Words and thank you so much for the follow!